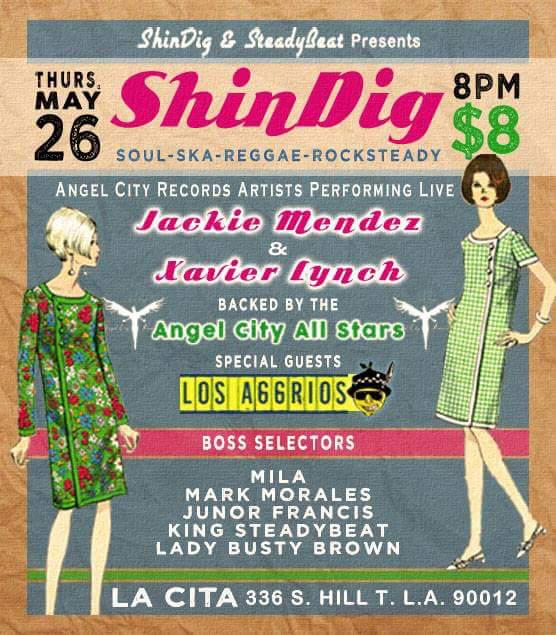 Shindig returns to La Cita Bar! Featuring live performances by Jackie Mendez and Xavier Lynch backed by the Angel City All Stars! Plus special guests Los Aggrios!